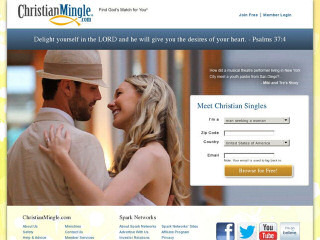 Thought of trying a Christian dating site? What I found on the mainstream ones is people feel obliged not to talk religions for fear of upsetting atheists or other faiths in doing so. Meeting people of the right faith is a deal breaker for a lot of people. If you’re a Christian and tried to meet singles on the bigger relationship sites and didn’t have much luck, maybe you should try a Christian dating site instead. On the mainstream sites people often feel obliged not to talk religions for fear of upsetting atheists or other faiths in doing so. While you’re not guaranteed that everyone you meet there will have the same faith, you will find that people will be more receptive and open to your beliefs and religious background. The reason being everyone knows the idea behind the website, and why it’s there. The other plus is that people are more open to discuss these matters in a honest way. Whereas on the mainstream sites people often feel obliged not to talk religions for fear of upsetting atheists or other faiths in doing so. I’ve hand picked a few of my favorite Christian sites to talk about. By all means, there are many more. But these are the ones that most people are using right now. This one is the biggest of the “Christian” themed sites. It’s setup just for people who want relationships. By that I mean relationships leading to marriage or a life time partner. They have well over half a million users scattered across the globe. Many being from the U.S., Canada and Europe. The compatibility tool allows you to close in your search for people who share the same values, and have the same personality type as you. The website was founded by Sparks Networks. They have a big network of dating sites and this is just one of them. This has both pros and cons. The advantage is that the site is really brimming with handy features and add-ons. These increase your chances of meeting people. One of my personal favorites is the compatibility system. It allows you to close in your search for people who share the same values, and have the same personality type as you. The experts say this makes a happier marriage or relationship. Premium users get to appear first • – Get a priority listing. Once you get in as a premium user they boost up your profile. That means you get more interest because you get put in front of more “eye balls”. Create and save customized searches • – Saves typing in the same stuff over again. The custom search lets you make up your wish list in a man or woman and keep to it. You can also make up more than one if you want. Feature yourself • – Put yourself in the spotlight. The special feature profile lets you create an “advertisement” for yourself. You get to appear on everyone’s sidebar. You’ll get loads of interest this way. Checkout your popularity • – See who’s been looking at your profile. Are you ever curious about who’s been checking you out? With this feature you can see exactly that. This “insider view” lets you see who’s been peeking at your profile. The downside is that ChristianMingle’s can seem a little “same old” format. They haven’t done much to really set it apart from the other sites they own. In that way what I found was it can feel a little bit “cookie cutter”. But if you can get past this it’s not a bad place to meet people. Though it’s on the smallish side, ChristianCupid is still one of my favorites. While they may not have zillions of members they do have a small but loyal group who’re on there a lot. Users there do tend to be quite outspoken and active. That means, when you send someone a message, chances are you’ll get a reply back. That’s more than can be said for a lot of sites. The main downer is that you might not find people nearby. What I found at other places is that although they do have tons of profiles, most of them are inactive. I guess the people abandoned the site years before and they’ve just left up a profile. People • – The Christian community is for the most part genuine and friendly. Freebies • – As a guest user you can still get in contact with other people – as long as one of you upgraded. Pricing • – The pricing for upgrades is clear and transparent, without hidden “nasties” like some other dating services. The main downer is that you might not find people nearby. I’m nearby a large metropolitan area so I didn’t have any difficulty. If you’re further out though it may be a different story. 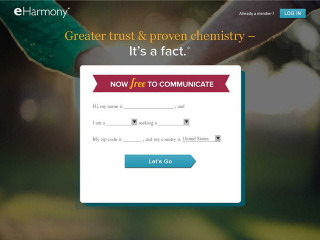 eHarmony goes to great lengths to tell people they’re not a Christian only site. But the reality is many people on there are of the Christian faith. 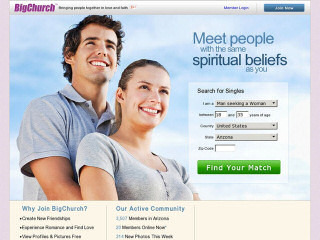 Christians flock to eHarmony for a few reasons. You’re told who you’re best suited to. Your matches are based on a very long and detailed questionnaire that you have to complete on joining. Seriousness • – eHarmony has always been based on the idea of long term committed relationship leading to marriage. Female influence • – eHarmony is very popular among women. Many women are put-off by the seedy and sexual aspects of the more casual dating sites. Christian values • – They have a strong moral ethic. Those who’re not serious about finding a lifetime partner are “shown the door” pretty quickly. No random browsing! • – If you’ve used other dating services you might find eHarmony a little bit of a shock. They don’t allow you to browse and snoop around for people you think are “hot”. You’re told who you’re best suited to. Your matches are based on a very long and detailed questionnaire that you have to complete on joining. This probes every aspect of your life, family, background and beliefs. If you prefer a more informal and spontaneous approach to dating, perhaps this one isn’t up your street. Well BigChurch isn’t just for Christians either. The name “BigChurch” is supposed to mean that it welcomes any faith. It’s a big open “Church”. You don’t have to be Christian, Catholic or Muslim. In fact you don’t even have to be religious at all. Lots of people have “put down” the site and question it’s motives. The only valid reason being that it’s owned by Friendfinder. And that company is active in the “adult entertainment” industry let’s say. Lots of people have “put down” the site and question it’s motives. The only valid reason being that it’s owned by Friendfinder. To be fair, I don’t find anything wrong with BigChurch. I think it’s a good idea and does have a lot going for it. If you’re devoutly religious then it’s probably not for you. But if you’re curious about meeting people from different faiths and backgrounds then it can work. It can be a great way just to meet new friends. BigChurch does have quite a complicated format I found. The search tool takes some getting used to. One of the best parts is the community forums. These are massive and are really buzzing with activity. The forums are a good way to break the ice and get to know people without the stress of approaching them in a romantic way. LDS is for people of the “latter day saints” movement. But they still let you join in your regardless of your faith. So do be prepared to meet different religions there. This is last in my bunch of recommended sites. However I’ve kept it in because of it’s active following. If you’re a follower of the LDS Church, this one is probably your best bet. 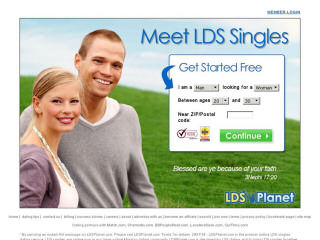 There are other LDS relationship sites out there. But they’re too small to be credible. Matching • – They do have a matching system like eHarmony’s. But it never worked that well for me. The people I was paired with I just didn’t seem to have anything in common with. The only thing we seem to share was a zip code. Even though I did complete the questionnaire. I found it disappointing. Expressions • – LDSPlanet have a special part on the profile where you can really get creative. You can tell others about your religion, your aspirations and what part you play in your church. This is optional. Membership • – Three levels of membership are available. The mandatory guest membership is of course completely free. The problem being you can’t really do a lot with it. While you can look around I was irritated because each time I tried to do something it told me to “upgrade”. People – LDSPlanet is a bit of a mixed bunch. You do get a few devout members there, but on the whole people I came across were not staunchly religious. If you’re a follower of the LDS Church, this one is probably your best bet. There are other LDS relationship sites out there. But to to be honest they’re just too small to be credible.